‘Magical’ Mushroom Could Fight off Cancer with Epigenetics | What is Epigenetics? A certain type of mushroom might epigenetically prevent tumor growth, according to a study published in the Journal of Cancer Research and Treatment. A medicinal mushroom, Phellinus linteus (PL), could come with “magical” anticancer properties. Researchers from New York Medical College found that histone deacetylase (HDAC) inactivation and histone acetylation led to the death of bladder cancer cells. Chemotherapy and immunotherapy often come with severe side effects, and for those suffering from bladder cancer, the use of these therapies is limited and often ineffective in the long run. Because of this, a group of scientists sought to find a possible alternative therapy, one that relies on extracts of a very special type of fungus. According to the researchers, Phellinus linteus has been used in Asian countries for centuries to prevent or treat ailments, including gastroenteric dysfunction, diarrhea, hemorrhage, rheumatoid arthritis, and cancers. In the wild, this mushroom can be found growing on mulberry trees. Interestingly, it is consumed in the form of hot tea in Korean traditional medicine. 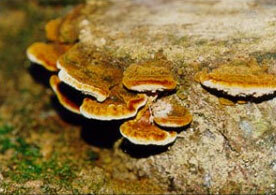 The mechanisms behind the anticancer effects of Phellinus linteus (pictured) remain to be elucidated. Credit: Complementary Oncology. 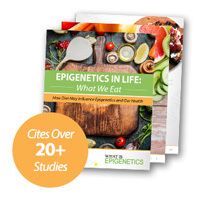 Previous articles on “What is Epigenetics” detail the epigenetic effects and potential cancer-fighting benefits of broccoli, fruits, and other plants. Research has even found that a natural compound in cypress trees could protect against cancer and that green tea might be able to turn genes on or off in women. However, we are still in the beginning stages of understanding and researching these effects and whether they translate to humans in a practical manner. Now the focus is on mushrooms. The group of researchers aimed to measure the epigenetic effect of this well-known mushroom on the growth of urothelial cell carcinoma (UCC), the most common type of bladder cancer. Those suffering from this particular cancer have limited therapeutic options. Often, the tumor returns, and the side effects brought on by chemotherapy or immunotherapy are a significant drawback. In one of the first studies assessing the potential benefits of mushrooms against bladder cancer, these researchers found that the growth of human cancer cells was reduced from 60 to 90 percent and that histone deacetylase activity was significantly lost. The results were obtained by examining the effects of three distinct PL extracts on UCC cells in vitro. HDACs are epigenetic enzymes that remove chemical groups, known as acetyl groups, from histone proteins. DNA wraps around these histones and the expression of our genes is changed depending on how loose or tight the structure is. Read more about chromatin remodeling and the impact it has on gene expression. Removing an acetyl group will allow the histones to wrap around the DNA more tightly, which will prevent the expression of certain genes. Often times, cancer cells are treated with HDAC inhibitors (HDACi) because HDACs can cause aberrant transcription of key genes that regulate cell functions often linked to cancer, such as cell proliferation, cell-cycle regulation, and apoptosis. In this study, HDAC activity was reduced as a result of cancerous cells being treated with mushroom extracts and histone acetylation was increased. The researchers used the Epigenase HDAC Activity/Inhibition Direct Assay Kit from EpiGentek to measure HDAC activity. They found that greater than 60% of HDAC activity was reduced after treatment with three distinct extracts or fractions of the mushroom (PL-I, -II, and -III). In addition, both histones H3 and H4 were highly acetylated, which indicated alterations in the chromatin structure. Overall, the mushroom extracts reduced cell viability through anticancer activity, and histone modifications were thought to induce cell cycle arrest. In light of these results, this mushroom could modify the chromatin structure – consisting of histones and DNA – ultimately reducing cancer cell viability via a cell cycle arrest. The researchers suggest that DNA methylation, another popular epigenetic mechanism, should be investigated in terms of possible epigenetic effects of these fungus fractions. This study raises new questions about whether nontraditional medicines could help those suffering from cancer. As we continue to conduct more research and investigate the epigenetic effects of various natural substances on human health and well being, we can begin to understand the potential benefits of alternative medicine and consider developing new therapies in the future. Source: Bhalodi, A. et al. (2016). Alternative Therapeutic Approach to Urothelial Cell Carcinoma with Medicinal Mushroom Extracts. Journal of Cancer Research and Treatment, 4(5): 73-79.